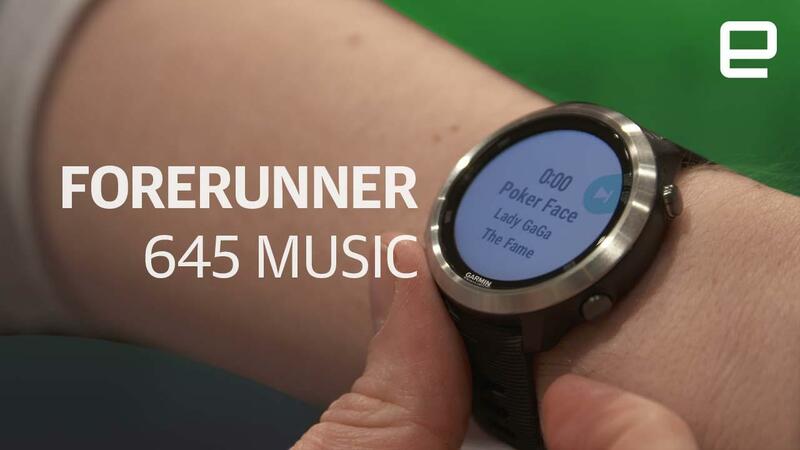 The Garmin Forerunner 645 Music has space for up to 500 songs. We get it: All you wanna do this year is go for a run and leave that pricey, thousand-dollar smartphone at home. That's why almost every running watch worth its salt now comes with built-in music playback that'll push tunes to your Bluetooth headphones. Garmin's support for this cause now includes the new Forerunner 645 Music, which, clue in the name, is a running watch that packs storage for up to 500 songs. As well as the music on your desktop, you can also pipe in songs from either iHeartRadio or Deezer to take on your outdoor jaunts. As well as Bluetooth music, the 645 comes with Garmin Pay, which is ideal for that post-workout coffee (or beer, we won't judge). In addition, prospective owners should be wowed by the pretty steel bezel, the first Forerunner to get such a flashy addition. Battery life is always an issue with running watches, and the 645 will last up to seven days on a charge or five hours on GPS. Garmins always have sturdy build quality and should last you forever, so it's no surprise to see the 645 Music having a pleasing heft. In addition, it's a lot slimmer and tidier than previous iterations, and the steel bezel really does make it look much more elegant than other wearables in its class. The Garmin Forerunner 645 Music is available for $450, and it comes with either a black or reddish-pink cerise band and will arrive within the next three months. If you're still devoted to that old iPod Shuffle, you can pick up a music-free version that's priced at $400, which comes in black or sandstone.